Parliament’s vote for a third runway at Heathrow airport shows how far the Labour party is from putting together economic policies combining social justice and action to curb global warming. More than 115 Labour MPs – well over half the parliamentary party – voted for Heathrow expansion on Monday, ignoring a warning in the debate by the Shadow Chancellor, John McDonnell, that it posed “a threat to the planet”. McDonnell, a long-standing opponent of Heathrow expansion, said that, if a legal challenge by local councils and Greenpeace failed, an “iconic, totemic” battle would be unleashed to stop the project. The Vote No Heathrow group is already gearing up for such a battle. Before the vote, Len McCluskey, leader of the Unite union – a big financial donor to Labour and supporter of Jeremy Corbyn in internal political battles – wrote to MPs urging them to support Heathrow expansion. Integrated strategies to face the crisis in relations between society and nature – “essentially, the dynamics of capitalist economic relations” – have been proposed to Labour by the Red Green Study Group in the UK. In a response to the Labour Party’s National Policy Forum consultation, Environment, Energy and Culture: A Greener Britain, the group says a “combined approach” to tackling poverty, inequality and environmental degradation is vital. The whole response is attached as a PDF here. Or you can read it on line on the Red Green Labour blog here. Or download it from the Labour party site here. This response is the result of prolonged discussion among members of the RED-GREEN STUDY GROUP, which has been working since 1992 on bringing together green, socialist and feminist thinking. Contributors include trade unionists, members of the Labour Party, members of the Green Party and unaffiliated socialists. Our commitment to producing this response arose from the renewal of hope given by the election of Jeremy Corbyn and the new leadership of the Party. The existence of a “new cold war” was already being treated in public discourse as an “obvious and indisputable fact”, Budraitskis argues – but “the production of rhetoric has run way ahead of the reality” (pp. 112-3). 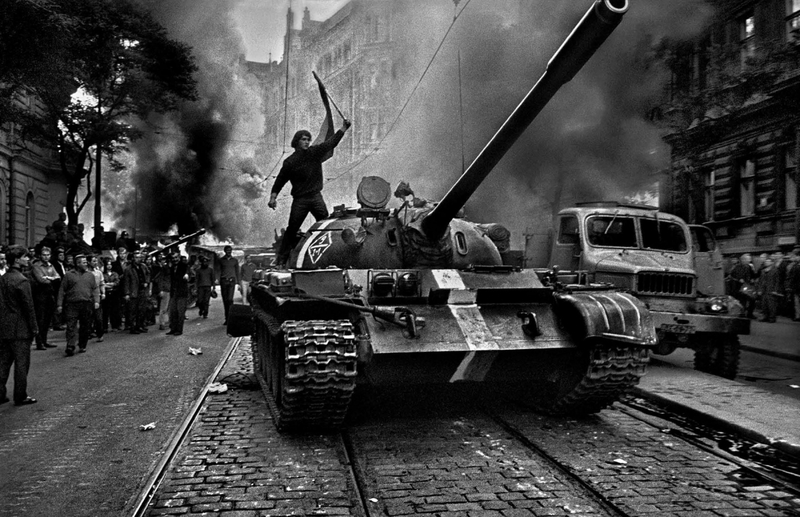 To question the assumptions behind the rhetoric further, in the essay, “Intellectuals and the Cold War” (in English on line here), Budraitskis considers the character of the original cold war, i.e. between the Soviet bloc and the western powers between the end of the second world war and 1991. The cold war was a set of “principles of the world order”, construed by ruling elites and then confirmed in intellectual discourse and in the everyday activity of masses of people, he writes (p. 112). The Ukrainian film maker Oleg Sentsov, unjustly imprisoned in Russia, is going into the fifth week of a hunger strike, demanding the release of all Ukrainian political prisoners in Russia. ANTHONY McINTYRE, a former Irish political prisoner, explains in this interview why he supports this demand. Gabriel Levy. 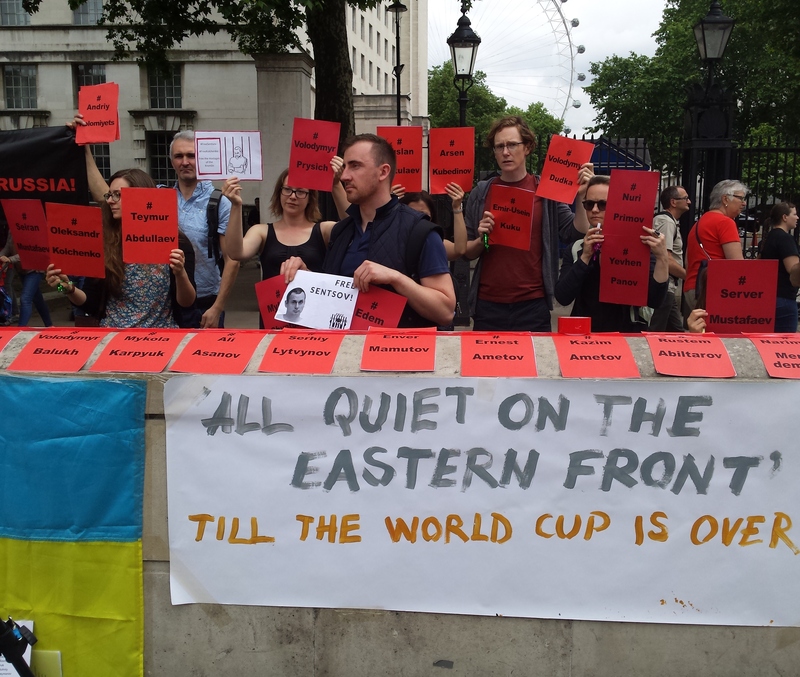 What’s your view of the international campaign, taking place in the run-up to the World Cup finals, to draw attention to the Ukrainian political prisoners in Russia and to demand their release? abuses and when an opportunity presents itself like the World Cup, where the media will concentrate, it has to be seized. So, I think it is the thing to do. GL. Many of the prisoners are from Crimea, which was annexed by Russia in 2014. Some of the most well-known prisoners, including Oleg Sentsov, have been jailed on “terrorism” charges that all the international human rights organisations regard as fabricated. Another prisoner, Volodymyr Balukh, was sentenced for possessing a Ukrainian flag. Others are civil society activists from the Crimean Tatar community that has suffered discrimination since Soviet times. 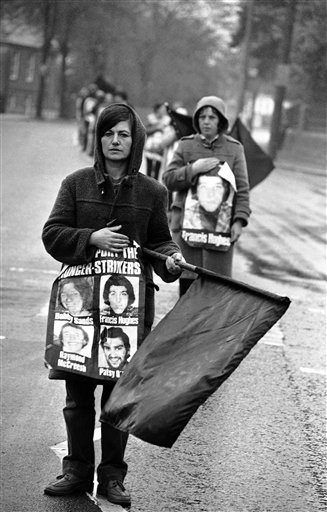 To what extent would you regard the prisoners as victims of imperialism? AM. I think imperialism is a term that has been used much too liberally over the years by the Left. It now sounds like a slogan rather than something that is analytically descriptive. The prisoners are victims of an aggressive and intrusive power. Whether that power is exercised on the grounds of pursuing markets and profit, or as part of the politics of power and security in a volatile world, is up for discussion, but its effects are catastrophic for those in Crimea. Russia, given its geographic location and historical proximity to threatening powers, might expand outside its own borders but not necessarily for imperialist reasons as understood by Marxists. But that expansionism is necessarily unjust. Demonstrators in London yesterday demanded that Russia release 70 Ukrainian political prisoners. The picket was part of an international action to support the film director Oleg Sentsov, one of the 70, who has been on hunger strike since 14 May in the Labytnangi prison colony. Sentsov, who was arrested in Crimea after it was annexed by Russia in 2014, was sentenced to 20 years on fabricated terrorism charges. On 25 May, Oleksandr Shumkov, a Ukrainian serviceman taken forcibly to Russia and imprisoned there, started a hunger strike in support of Sentsov. And on 31 May they were joined on hunger strike by Oleksandr Kolchenko, an anarchist militant from Crimea tried together with Sentsov and sentenced to ten years. Another Ukrainian prisoner in Russia, Volodymyr Balukh, a farmer jailed for possession of a Ukrainian flag in Russian-occupied Crimea, went on hunger strike on 19 March. From the 25th day of his action he started taking minimal nutrition – oat broth and a piece of bread each day – to avoid being force-fed. The London picket was organised by Ukrainians studying and working in London, who were joined by British supporters. Rafis Kashapov, a civil society activist from the Tatarstan republic in Russia, recently ordered by a Russian court to desist from political activity, was there too. News of the international campaign here: #FreeSentsov #SaveOlegSentsov #TheyAreStillThere #LetMyPeopleGo. You are currently browsing the People and Nature blog archives for June, 2018.